What makes Myrtle Beach golf so appealing to the large numbers of golfers that flock to the area known as the “The Seaside Golf Capital of the World?”. Perhaps it the sheer number of Myrtle Beach golf courses that you can choose from. The concentration of the number of courses located along the 60 miles of the Grand Strand is over 100. That’s right – you get to take your pick of over 100 golf courses when you book your Myrtle Beach golf package with Myrtle Beach Golf Authority. Perhaps it’s the variety of golf courses. 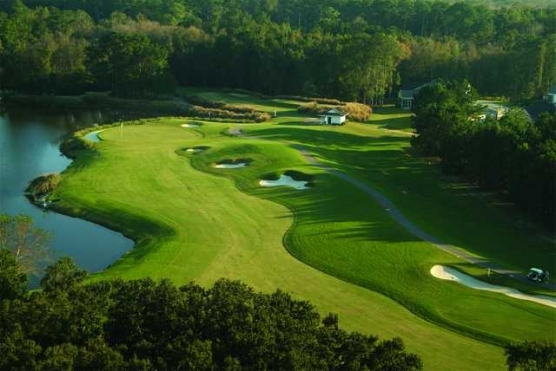 With the large number of courses available, there are plenty of options for players of all skill levels to find the Myrtle Beach golf course that will not only be enjoyable to play, but some that are ranked in the top in the country. Whether the length of the course is what you are looking for, championship caliber links, or just a challenging course with water hazards and thought provoking shots – Myrtle Beach golf packages were made for you! Our dedicated golf specialists will work with you and your group to help you pick the best courses for your desires when you book your next golf package with us. One final item that might get you excited for your next Myrtle Beach golf package is our ability to get you a tee time on some of those “hard to get on” courses. There are a few private country clubs in the Myrtle Beach area that we have relationships with where we are able to book tee times. Dunes Club and Surf Club are two of the highly sought after country clubs that many of the players what to play. Getting a tee time on one of these courses could be nearly impossible without the help of the experts at Myrtle Beach Golf Authority. Getting a tee time at a private country club isn’t always easy, and it’s certainly not cheap, but if that’s what you are looking for – you’ve come to the right place for your next Myrtle Beach golf package. We are just a phone call or email away.